The Regina Pats (14-36-1-2) play the third game of their four game Central Division road trip on Friday night against the Red Deer Rebels (28-18-2-1). Puck drop is at 8:00 p.m. Regina time at the Enmax Centrium. 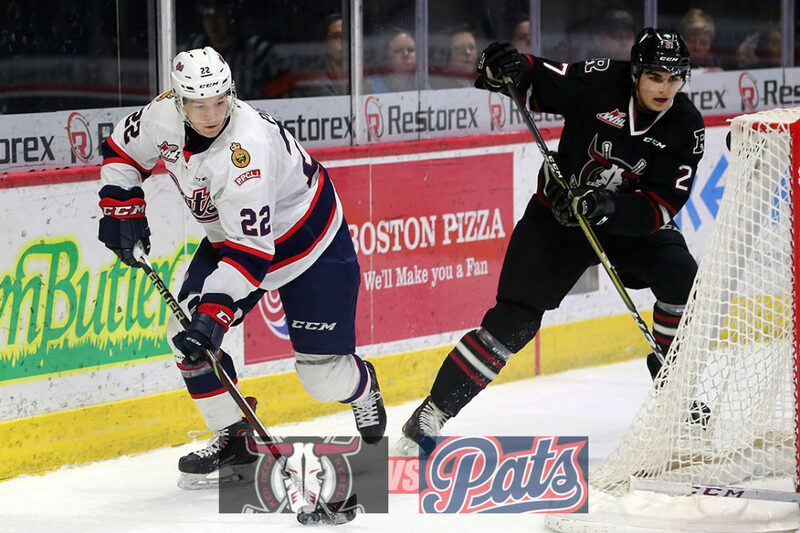 The Pats were last in action on Wednesday in Calgary, losing 4-3 to the Hitmen at the Stampede Corral. The Rebels last game was on Saturday at home to the Hitmen, losing the contest 5-1. Tonight is the third of four meetings between Regina and Red Deer in 2018-19, the Pats are 0-1-0-1 in the season series. Tonight’s game can be heard with Bennett Dunlop Ford Pats Hockey starting at 7:35 p.m. on 620 CKRM. 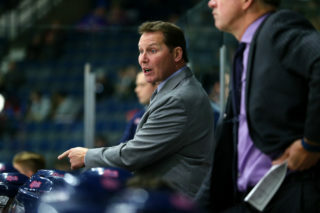 The Regina Pats lost a back and forth affair with the Calgary Hitmen, 4-3 at the Stampede Corral on Wednesday night. In the first, the Pats outshot Calgary 10-9 and had one powerplay, but the Hitmen killed it off and it was scoreless after one. In the second, the Hitmen took the lead on a goal from Kaden Elder. The Pats got it tied and then took the lead as Ty Kolle scored his 9th and 10th and Regina led 2-1. Calgary found a tying goal before the end of the frame and it was 2-2 after 40 minutes. In the third, Calgary went up 3-2, 35 seconds into the period. Ty Kolle then completed his hat trick at the five-minute mark and the game was tied again at 3-3. It stayed that way until late, when Riley Stotts gave Calgary the 4-3 lead with 3:19 left and that was the final score. The Pats were outshot 38-36, the powerplay was oh for four and the penalty kill was three for three. Ty Kolle led the offence with three goals and Max Paddock made 34 saves. 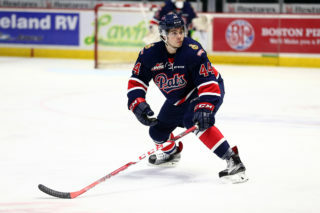 Pats forward Ty Kolle snapped a 26-game goalless drought with a hat trick on Wednesday in Calgary. 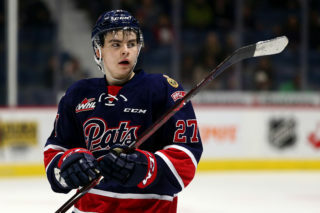 The 18-year-old scored in his first game with the Pats on November 30 in Brandon against the Wheat Kings, but was snake bitten until Wednesday night. 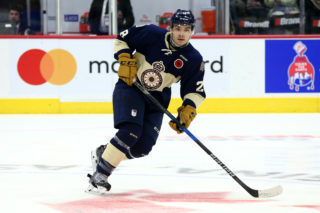 Kolle scored all three of his goals at even strength, two in the second period and one in the third for the first hat trick of his Western Hockey League career. Despite the long goal drought, Kolle is enjoying a career season, setting new highs in goals with 11, assists with 10 and points with 21. The product of Kamloops, B.C. is second on the team with 106 shots on goal this year, Austin Pratt leads the way with 186 shots. 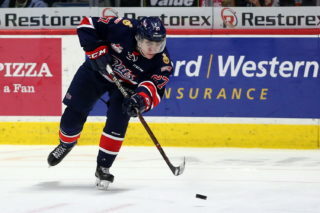 Pats forward Austin Pratt reached the 40-point plateau on Wednesday with an assist against the Hitmen. The 19-year-old leads the team in goals with 19, assists with 21 and points with 40. All three categories are new career highs, surpassing his previous best year with the Red Deer Rebels in 2016-17, when he had 16 goals and 34 points. Since the start of 2019, Pratt has put up five goals and five assists for 10 points in 16 games. The product of Lakeville, Minnesota has put up a goal and an assist in two games against Red Deer this year. Duncan Pierce and Brady Pouteau also have a goal and an assist against the Rebels in the season series. Forward Sebastian Streu is enjoying a strong 19-year-old season with the Pats this year. He was listed and signed by the Pats in November and has appeared in 25 games, scoring six times and adding 10 assists for 16 points. Those 16 points are a new career high, passing his 12 points he put up in 54 games with the Kootenay ICE last year.